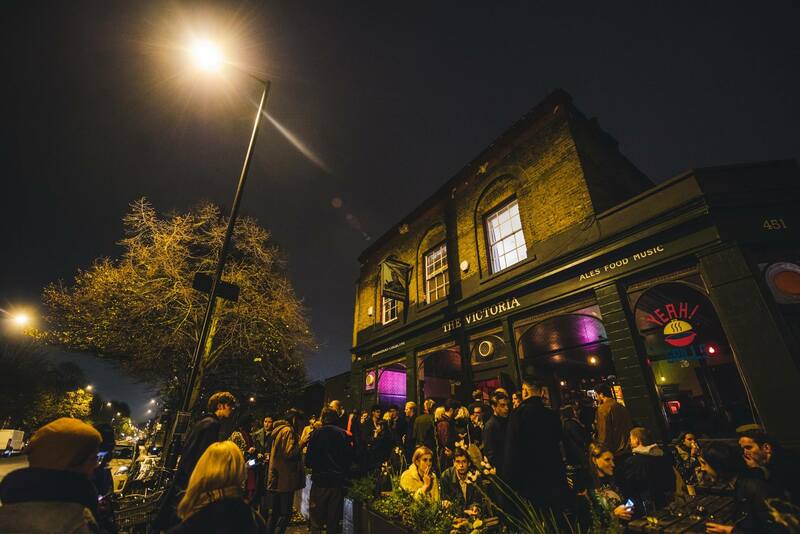 Nonclassical open their year with their annual Battle of the Bands at their live homebase in Hackney’s Victoria performance pub. Six competitors will be duking it out for industry attention and more Nonclassical gig opportunities. 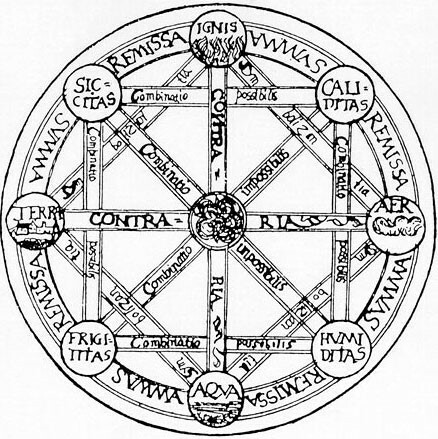 As usual, they’ve been chosen from the permeable space where contemporary classical touches on other musical forms, on other arts and on current concerns. Three collectives are also competing. Chamber ensemble Scordatura Women’s Music Collective champion and perform the work of female composers, both living and dead: on this occasion, they’ll be performing ‘Las Sombras de los Apus’ by Gabriela Lena Frank, a cello quartet in which each instrument plays in a different tuning. The recently-formed New Music group 4|12 Collective will be playing James Saunders’ Instruments with Recordings (with a lineup of viola player Toby Cook, flautist Epsie Thompson, accordionist Giancarlo Palena, bassoonist Olivia Palmer-Baker, trombonist Benny Vernon and tuba player Stuart Beard). Rita Says & The Jerico Orchestra (performing Paragraph 7 of ‘The Great Learning’ by Cornelius Cardew) have been around a little longer: over the past decade, they’ve been working at “defin(ing) a connection between fine art performance practise and the history of contemporary music”, exploring a spontaneous blend of physical action and visual interaction to create and conduct pieces. Finally, there’s composer/performer and Filthy Lucre co-founder Joe Bates, who pitches his camp on the faultline between contemporary classical music and avant-rock, hip hop and electronics; and whose artistic interests include “desire at a remove” and “the decline of classical music’s social prestige and the possibilities for its future.” His music blends contemporary classical structures and instrumentation options with “intense, still, driven riffs” and harmonies from rock and other pop forms. On this occasion, he’ll be playing pieces from his microtonal synthesiser suite/EP ‘Flim Flam’. If you’re sympathetic to Scordatura’s role as feminist music historians and curators, you might like to know that they’re popping up again in Abingdon, Oxfordshire in early February – as part of the Abbey Chamber Concerts series. 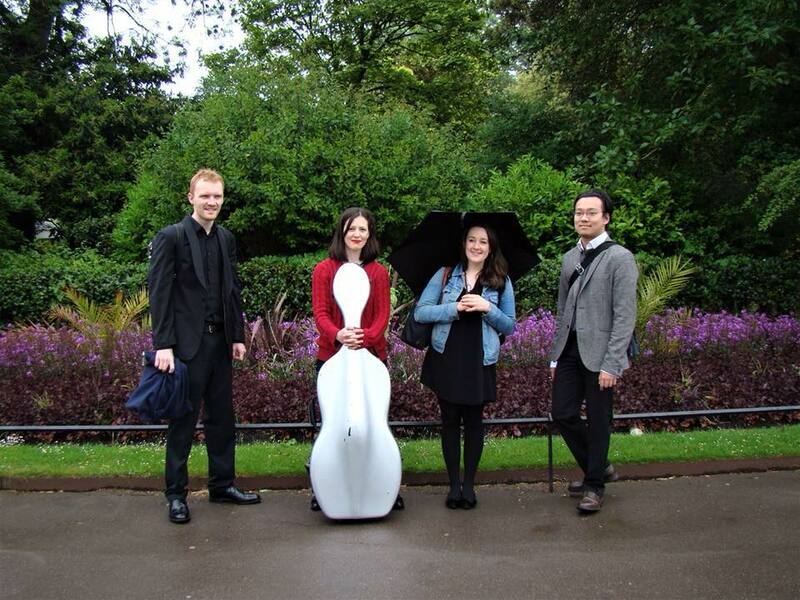 Their 3rd February gig, titled as “Celebrating Clara” (and utilising a shifting duo/trio/quartet formation of clarinettist Poppy Beddoe, violinist Claudia Fuller, cellist Rachel Watson and pianist Thomas Ang) ostensibly showcases Clara Schumann, the similarly talented but undervalued composer-pianist married to Robert Schumann. They’ll be playing one Schumann piece – the Piano Trio in G minor – and possibly some of her clarinet work, but the remaining programme slots are given over to the work of other female composers. Contemporary composer Cecilia McDowall’s chamber piece ‘Cavatina at Midnight’ is followed by the Victorian ‘Piano Suite in E major’ by Clara Schumann’s contemporary Ethel Smyth. 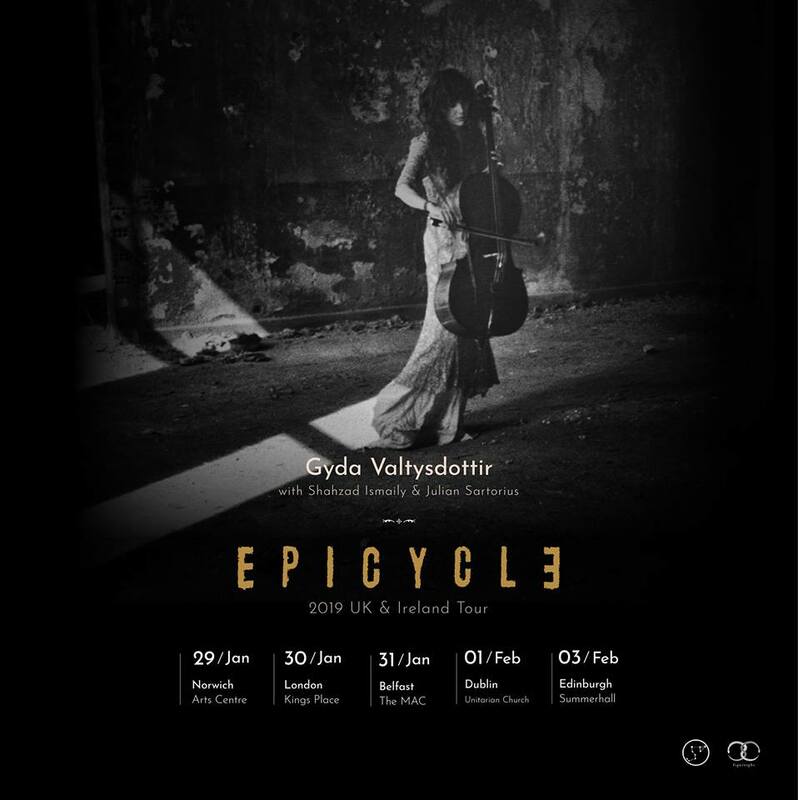 Overlapping these two concerts is a British/Irish mini-tour by Gyða Valtýsdóttir – still known as the former cellist for Iceland experimental pop band Múm even though she only played on two of their albums and has been out of the band for sixteen years. Having immediately returned, post-Múm, to her classical roots (formally studying, graduating and applying herself to classical cello) Gyða’s spent the time since then in the genre-stepping world of the modern post-classical musician. Outside of the classical gigs, rent-paying but artistically respectable engagements adding stringwork to records or tours by Sigur Ros’ Jónsi, Damien Rice and Colin Stetson have alternated with assorted film, dance, theatre and installation music around the world, as well as bouts of free improvisation gigs. Allied with her twin sister and ex-Múm bandmate Kristín Anna, Gyða also added a “reciprocal twin” component to Aaron and Bryce Dessner’s 2015 song cycle ‘Forever Love’, conceived and delivered with performance artists Ragnar Kjartansson. Although Gyða’s latest personal release (last year’s ‘Evolution’) features her own compositions and a return to her Múm-era multi-instrumentalism – and although some of those songs will get an airing – this tour focusses mostly on her 2017 solo debut ‘Epicycle‘, a two-millennia-spanning exercise in musical commonality and reconfiguration originally intended as “a gift for friends” on which Schubert, Schumann and Messiaen rub shoulders with Harry Partsch, George Crumb, Hildegard von Bingen and the nineteen-hundred year old Seikilos Epitaph. The album was an Icelandic smash hit and a talking point elsewhere: a classical debut recorded with the immediacy of a jazz record and with a broad-minded disregard for purity, bringing in upfront studio processing techniques and stylings/instrumental responses from other traditions from jazz to ancient folk to experimental post-rock. On tour, she’s performing with her Epicycle trio, also featuring multi-instrumentalist Shahzad Ismaily (on guitar, synthesizer, percussion and anything else which needs playing) and drummer Julian Sartorius, both of whom played on the record.